For years, my stock answer to this question has involved pointing out that, while I do have opinions, they are not any more informed than anyone else’s. When there is no science to aliens the only scientifically defensible position is to be an alien agnostic. These days, though, I have been become a convert. I consider myself no longer an alien agnostic, but a true believer. A range of scientific discoveries over the past decade makes the possible of life outside of the earth appear -- to me, at least – not just possible, but actually inevitable. Inevitable! That’s a pretty strong word from a former agnostic, so let me clarify what I think is inevitable. I believe that, within my lifetime, we will have solid evidence of currently living microbial life forms on Mars. That’s not quite telepathic natives yearning for earthlings, but it’s a lot closer to the universe of my childhood reading than I would have ever guessed we would come. There are three key insights that make microbial life on Mars seem inevitable. First, one of the most profound things that we’ve learned about life in the past decade is that, on the earth at least, it can eke out an existence almost everywhere: in the deepest parts of the ocean, far underground, up in the atmosphere, in arsenic pools, inside nuclear containment vessels, on your kitchen counter even after a generous application of disinfectant. Life is very difficult to get rid of once established. While the surface of Mars is currently quite inhospitable to anything we can imagine, sterilizing an entire planet is likely impossible. If life ever had been established on Mars it would certainly still be hiding in little cracks today, perhaps in near-surface hot springs or deep underground caves or somewhere else we haven’t yet looked. The second key scientific insight is that life could well have become established on Mars earlier in Martian history. The armada of orbiters and rovers and telescope circling, driving, and staring at Mars over the past decade have general come to an agreement that the cold dry bleak Mars of today -- which seems an unlikely spot for the development of life -- was warmer and wetter billions of year ago. But simply saying that Mars could have evolved life and then would have kept it if it had does not mean that it did evolve life. It certainly does not make it inevitable. We have absolutely zero understanding of the probability of life developing, even if it has ideal conditions. This is where that the third and most important insight comes in. Planets don’t live in isolation. We have found pieces of Mars and of the Moon on the surface of the earth. These pieces were blasted off of their home planets by a meteor impact, which caused them to lift into space, travel in orbit for a while, and then plunge to the earth. The reverse must also have happened: chunks of the earth which have been blasted off by meteorite impacts have inevitably landed on Mars (and elsewhere) throughout solar system history. Experiments now show that microbes can live dormant in space for years and years – longer than the shortest travel times between the planets. We can now say with pretty good certainty that microbe-containing rocks have been blasted off the face of the earth and that some of these have landed on Mars with the microbes still alive. We can also be pretty sure that this same process occurred back in the time when Mars was warmer and wetter. If enough terrestrial microbes landed on Mars, some would have found a way to survive. And if they did? They’re still there. Somewhere. It is inevitable. It’s still not quite hive-minded colonies of insectoids accidentally destroying humanity. The inevitable aliens that I believe we will find will simply turn out to be colonists sent from the earth long ago. Or maybe not. Some scientists have speculated that Mars might have been an even more hospitable place than the early earth for life to have evolved. Perhaps early in earth’s history the first Martian microbial colonists landed on a lifeless earth and, finally, four billion years later we finally return to pay our respects to the now destroyed mother world. I think I read that book when I was a kid, too. Congratulations on getting a healthy bouncing book into the world! I won't read it for a few weeks myself, since I put it on a Christmas wish list, but I'm looking forward to it. (1) Earth is BIG. Leaving Earth on a chunk of ejecta is a much likely event than doing the same from Mars. (2) Travel time is likely to be many years at best. What are the chances that ejected rock travels exactly on Hohmann transfer orbit? Practically nil. (4) Even if some spores managed to leave Earth and land, still alive, on Mars, they'll find something at least as inhospitable as cold Antarctica. Basically, the spore must be of an anaerobic cryophile bacteria. It is not very likely, though, that the place it lands has conditions similar enough it is adapted to. I'd say that chances that spore will survive are very slim, that it can transform in living and reproducing bacteria are much slimmer still. Anon: All could be true. I **hope** we get real evidence one of these days. Sadly, what we'll never get is absolute evidence to the contrary, which is what I have always found frustrating about the field. IMHO, where there is water there is an extremely high likelihood that life (mostly bacterial-like life) will exist. It does not need to evolve there, nor has to arrive from (specifically) Earth (though these two events have some probability as well). There seems to be a lot of water out there, not just in Mars (even in the dry Moon there seems to be some, and then there is Ceres, Europa, etc. ), so I understand that the likelihood of life is very high. Agnostic? Always until there is clear evidence... but quite inclined towards the believer side, specially as I do not think life as such is so "miraculous" but just a "normal" tendency of matter where conditions are favorable enough. Even on Earth, much of 'natural' life is adapted to live in a particular niche. The climate changes, food becomes scarce habitable zones disappear, extinction results. Maybe its more plausible some exotic molecules evolved in concert with extraterrestrial environments from which they sprang. Anonymous, we have several meteorites we know came from Mars, and from Vesta, so we do have known meteorites that DID make the Hohmann transfer orbit and arrived on Earth. As for re-entry being dangerous, that depends on the size of the meteorite. As Phil Plait explains in Bad Astronomy, small meteorites may heat up and ablate on the outside, but their interiors remain cold as ever. Some meteorites are found covered in frost when they fall. If the microbes were trapped inside the rock rather than on the surface (a better environment for surviving anyway), re-entry wouldn't be so dangerous. And as for Mars, you're discussing the Mars of today, not the Mars of 4 billion years ago. If there are martians, and they turn out to be transported earthlings (or it turns out we are transported martians), it will in some ways be a bit disappointing, because the martians will then no doubt be based on basically the same biochemistry as we are. In a sense, there will be nothing new to study. Not literally nothing new, of course, but nothing remotely as exciting as finding martians that do not share a common ancestor with us. Perhaps Mars is quite thoroughly dead now (it sure looks that way, on the face of it). Or perhaps there are rock-eating microbes far below the surface (as there are on earth). But even if Mars is dead, there might be fossils. Perhaps it is time for a robot mission designed specifically or mainly to look for signs of past life? They tried to look for existing life with the Viking missions, only to find that some inorganic processes can mimic organic ones to the point where one cannot easily tell the difference. Perhaps tests for past life, while technically probably more difficult to perform, might give answers that are less ambiguous? However, whether it has always been dead, or is merely dead now, or is still home to living martians, it surely is one of the most fascinating places in the solar system. "We have absolutely zero understanding of the probability of life developing, even if it has ideal conditions." ergo, other planets have life. The only way to make this argument any stronger is to assume, again without evidence, that the universe has an underlying bias toward life that causes spontaneous evolution to happen practically everywhere--which really isn't much different than inserting a creator deity into the mix. While we have been able to manipulate existing life in the laboratory to survive extreme conditions, we've never made life solely from inorganic elements. And until we do, or until we actually find life elsewhere, the alien agnostic view is the most scientific. I want hyper-drive and a federation of allied planets as much as anyone. But I think it's good to remember that, while science fiction has only to imagine to make it so, science has to be proven. As to Pluto, planet/dwarf planet--a planet's a planet. Mercury, Venus, Earth, Mars, Ceres, Jupiter, Saturn, Uranus, Neptune, Pluto, Eris. I only had to memorize nine, but my kid has a good memory. I hope you find a lot more. Congratulations on your newly published book. I too feel that life of various forms exists on other worlds. As to which worlds or where these worlds are is another issue. Remember all of the excitement over the "discovery" of Gliese 581g and the speculation that such a planet could harbor life, perhaps similar to life as we know it on Earth. Just because the obvious UFO has not visited us yet or so we think, does not mean that sophisticated life forms do not exist elsewhere, perhaps in another part of the Milky Way or in another galaxy. If life does exist elsewhere, how do we address this issue? As the scientific community would probably prefer, to bring it to Earth, place it in isolation and quarantine and study it alive. When the scientists were through studying this life form alive, they would probably dissect it. I think it is good science to be curious about life elsewhere and to study it in its own environment. However I feel that it is bad science to send probes, rovers and quite possibly, astronauts to other worlds to collect life to return it to a laboratory on Earth where it may be handled as aforementioned. If we know that life exists on a world that is reachable by machine or human for that matter, that we should go there, but only to study the life in its own environment; not to collect it and bring it back with them to Earth. I feel strongly that "do unto others as you would have others do unto you." This is not some religious statement, but a statement of morality. You might think "oh, it's just microbes, what's the harm of dissecting microbes; there's probably hundreds of trillions of them?" What if the life form we found elsewhere was more sophisticated and less numerous, like a dolphin or chimpanzee or yes, humanoid? Remember, what we can do to others, can be done to us as well. Its possible that there were microbes on Mars. However, finding them is going to be difficult. Microbes do not make good fossils and the fossils that do exist on Mars are going to be buried and will have to be dug up. Identifying the best places to dig is also going to be challenging. People will likely live on Mars for some time before the first Martian fossils get discovered. There may also be anaerobic microbes living deep underground on Mars (this is most likely candidate for Mars life). These will have to be dug up as well. ergo, other planets have life". There are zillions of other planets, many of which are similar in some aspects albeit different as well in relation with Earth and we have been so far unable to go there physically yet to confirm or not the hypotheses. The chances that there are is life out there somewhere are enormous, actually almost 100%. Another issue is if there is life in every other space pile of rubble (aka planetoid). This is much more uncertain because we do not know well the exact requirements for life to actually evolve (and there's surely also a randomness element to it). "The only way to make this argument any stronger is to assume, again without evidence, that the universe has an underlying bias toward life that causes spontaneous evolution to happen practically everywhere--which really isn't much different than inserting a creator deity into the mix". Actually that's not like any creator, if life is common and easy to form as rocks or almost, that's actually an extra argument against the existence of any creator. If life is rare and difficult to coalesce, then that may be an argument in favor of the need of a creator. "we've never made life solely from inorganic elements"
That it's quite incorrect: RNA has been created in vitro and also virus and bacteriae functional DNA, out of only organic chemicals. We know now that there is a great degree of random self-organization at the chemical level that actually produces life or life-like elements as well. Our knowledge of the essence of life has expanded massively in the last few decades but it's just the beginning, and, as often happens, as we research more and more we recognize that some key parts is simpler or more chaotic than we expected. That we know only so much does not preclude anything about the real foundations of life, which may well be very much generalized. However, I expect to find in most cases only rather low levels of complexity, because conditions seem harsh and have been that way for long in most other planetoids at hand. "There is life on earth" and the Universe is a big place. Frankly humans just learned how to control fire some 10 to 40 thousand years ago. If I was part of an advanced alien civilization that learned how to control fire more than a billion years ago, I would certainly wait for the humans to contact me. Well Mikey is a little behind lately. :-) The best 3 dwarf planets candidates discovered in 2010 are 2010 EK139, 2010 KZ39, and 2010 RE64. The latter two still have very poorly known orbits. There are zillions of other planets [....] The chances that there are is life out there somewhere are enormous, actually almost 100%. That's exactly the logical fallacy Anon was getting at. There may be a hundred zillion planets out there (earth-like or not), but if the chances of life are exactly one in a hundred zillion, then we can reasonably estimate about one planet of life. Or maybe the chances of life are 1 in 5. We just don't know. As you said in the same post: "..we do not know well the exact requirements for life to actually evolve.."
You can't just appeal to really high numbers to make an estimate of such confidence. 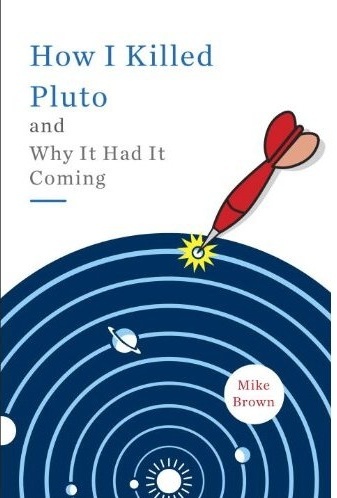 It seems the pro-Pluto as a planet advocates are out in force, as they are doing blog posts on various online sites too. Probably they made a case for fair and balanced coverage and equal time. Panspermia is an interesting idea, but if it happened, it would be that we are Martians rather than the other way around. Too hard to blast material off the surface. I thing the happening place for extraterrestrial life in our Solar system is Enceladus, a moon of Saturn. There are warm springs there, the spectral signature of the tiger stripes even might match some photochemical. Not much longer a shot is Europa. Beyong that, how about Namaka, the tiny moon of Haumea? There may be warm springs, there, too. "I'm old enough to remember serious speculation about life on Venus. Sulphuric acid stew, anybody? :D"
Is there any strong reason to decide that there is no life in Venus? There are bacteria for every kind of habitat, you know. What happened to all those new theories about a thermophile-acidophile origin of life on Earth, at deep oceanic vents maybe? You can grow a whole ecosystem out of that? And life, once it is there, adapts to nearly everything you can throw up at them. I wouldn't discard Venus nor even the gas giants, really. Ok, they look less likely candidates for life as we know it but water in one form or another is nearly everywhere. That's something we are learning now, even in the dry soil of the Moon there seems to be some water. Of course, I say all this from an agnostic position: only clear evidence will persuade me in either direction. Not really. We know that they *eventually* arrived to Earth, but there is no reason to think they arrived using optimal Hohmann transfer orbit. Statistically, there are very high chances that these meteorites spent decades, if not hundreds of years, in space on an Earth-crossing orbit before they finally caught Earth in the right place and time to fall onto it. The idea of life elsewhere as a certainty is based on the fact that the chemistry of life is not unique or special. That objects in even the most distant parts of the universe behave in ways that support the idea that physics is the same throughout the universe was used as evidence that extrasolar planets must exist in some form. It only took their discovery to learn anything about their nature. Likewise, given both the number of stars in, and the age of, the universe, the existence of at least one other habitat like that of early Earth somewhere in time is as near a certainty as it is possible to get. All chemical reactions can occur within a range of conditions specific to the reaction; so while we can assume that the necessary chemicals are ubiquitous, what we don't know is the range of conditions that allow life to form. Thus it is primarily the probability of life arising in a specific location that we are uncertain of, not the probability of life arising at all. @Maju, I suppose you've heard of the Mono Lake discovery of arsenic replacing phosphorus in a bacterium's DNA. Now, THAT'S "life as we don't know it." You get one gotcha point, congradulations! It's really hard to eliminate ANY kind of variation on the great theme of life. Microbes live in human bodies, which have evolved into a hostile environment for them. I think the most amazing survival story is the microbes living in abandoned nuclear reactors. They could be anywhere! Even my refrigerator! Is this blog dead? Postings almost every week and now not for 7 weeks. Just wondering if I should take it off my reader? Since we don't know the process by which life started, we can't assert that Life is abundant in the universe merely because there are earth-like planets out there. For all we know, origin of life has some extremely unlikely steps. And no, the handwaving on this subject has not been at all convincing. Panspermia on an interstellar scale has lots of problems, such as destruction of dormant "spores" by radiation before they can get anywhere. Finally, the Fermi paradox remains as strong as ever. There is something, something that you all guys somehow are not taking into your considerations: You all are right, may be undeniably correct if you talk about Matter, Space, Energy, Time. And if you talk about animal and mirobial life, then you are definetely right when you are talking about surviving and extinctions. But, if a Human Being enters into the scene... it does not matter how hard the science and scientifics take advantages of every new technology and each piece of knowledge, there are a lot of things such cannot be explained on phisical universe terms. The Human Being behavior cannot be predicted in any way if you just keep ignoring he or she is not just an animal. Maybe the body still exist as the animals do. But there are more than just a body, there is a soul. A soul that may create or destroy, on it's mind, anything. What are those things that remain unknow? We have all the creative flow, since the very firsts moment that Homo Sapiens did walk on earth surface. And then we have all actual and extint civilizations. No other -animal- than human being is capable of such creations, even a child may get that on the picture. So, actually, there is more there, more than just a body. And if you take soul onto your equations, and if you take care of learning and knowing... then perhaps you may become aware of a lot of things that otherwise will remain unpredictable and unintelegible. I am sending to you my best wishes. Thanks for reading and please excuse my poor english.